In a September 2011 post, I wrote on the wealth of limited editions that were popping up for a more than affordable price -- under $200. These limited editions are a fantastic way to collect books along with, in most cases, a loose gallery quality print. Since the last showcase of books and prints, we have received some other offerings that are especially worthy of note. All limited editions shown below are also available in a trade edition. Portolese's portraits of family members and familiar objects coalesce into the beautiful book titled Antonia's Garden. In this publication, the artist explores the nature of family relationships and alludes to the darker or mysterious side that is within all of us. 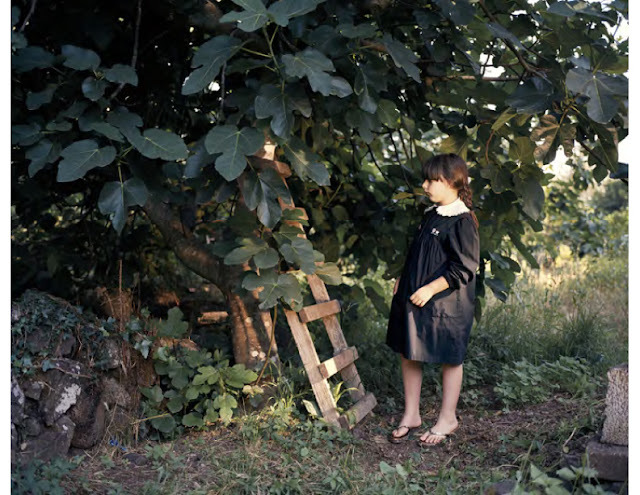 Many of her subjects' gaze off into the distance, as if meditating on the past or longing for something or someone lost, and while some confront the camera, others evade the stare of the photographer, seemingly caught in a turn away from the intrusion. The colors are saturated, but the cool tones add to the solemn mood of the project surrounding the life and death of Antonia and the struggles of her descendents. The limited edition of this book is accompanied by a choice of one of two 8x10 inch chromogenic prints (both shown below). Photographed in Kyrgyzstan, a remote area in the former Soviet Union, Thatcher Hullerman Cook's newest book Black Apple presents an artful view of the harsh life of the region's inhabitants and surrounding sparse landscape. The introduction by Nicholas Fox Weber describes Cook's images as a set in Tolstoy's War and Peace and, in the afterword, Associate Professor of Russian at Bowdoin College, Raymond Miller pulls quotations from Dostoevsky's The Brothers Karamazov and Crime and Punishment to relate the photographs to the unchanged life of the 21st century residents of Kyrgyzstan. Cook himself was influenced by Russian literature as he documented the harsh climate, the economic struggles and the hardships that each inhabitant faces every day. Through the images and accompanying captions, Cook seeks to communicate the deep sense of place and community, a place where they have to work together to survive. 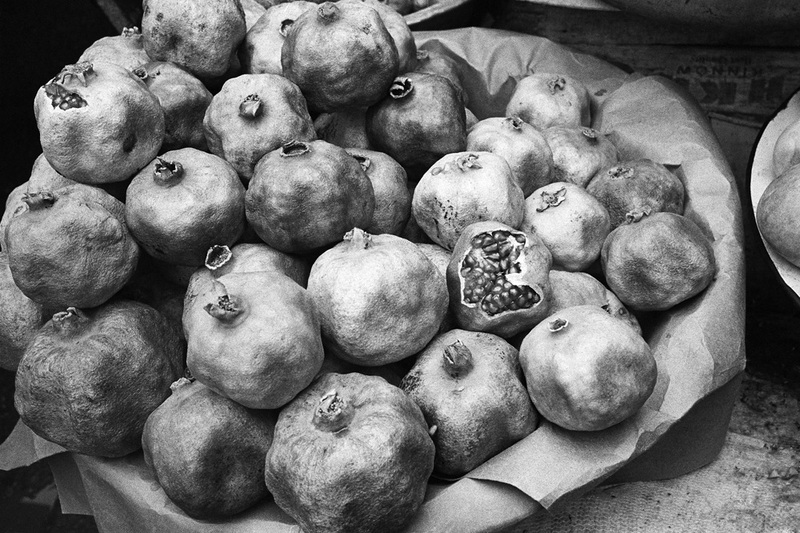 The limited edition includes a signed copy of the book and an 8x10" silver gelatin print of Pomegranate Still Life, Osh (shown below), signed, numbered and in a protective sleeve in the front of the book. Edition of 200. While living in Tel Aviv, José Pedro Cortes met four young American Jewish women who had moved to Israel to do their military service and never left. Cortes paints an intimate portrait of each of their lives -- numerous portraits spread across the pages of the book, the women often shown partially unclothed and bearing themselves physically and through the unguarded look in their eyes. Also showing their environment -- the peeling pain of the apartment bulidings, the lush greenery that envelopes the campus -- an image of large concrete barriers reminds the viewer of the violence that sometimes effects the region. The book's cover is wrapped in printed gold and purple and represents an intimate of diary of Cortes's nine month residence in this beautiful region of the Middle East. The Special Edition of 100 books comes with a 21x26 cm Inkjet print on fiber based paper (image shown below). For more information on these or any other limited editions, contact Melanie McWhorter.